Sweet, spicy and savory- that is all you need to satisfy any craving. We combined these 3 flavors by using honey, habanero chilis and a savory rub on some smoked chicken thighs for an out of this world experience. 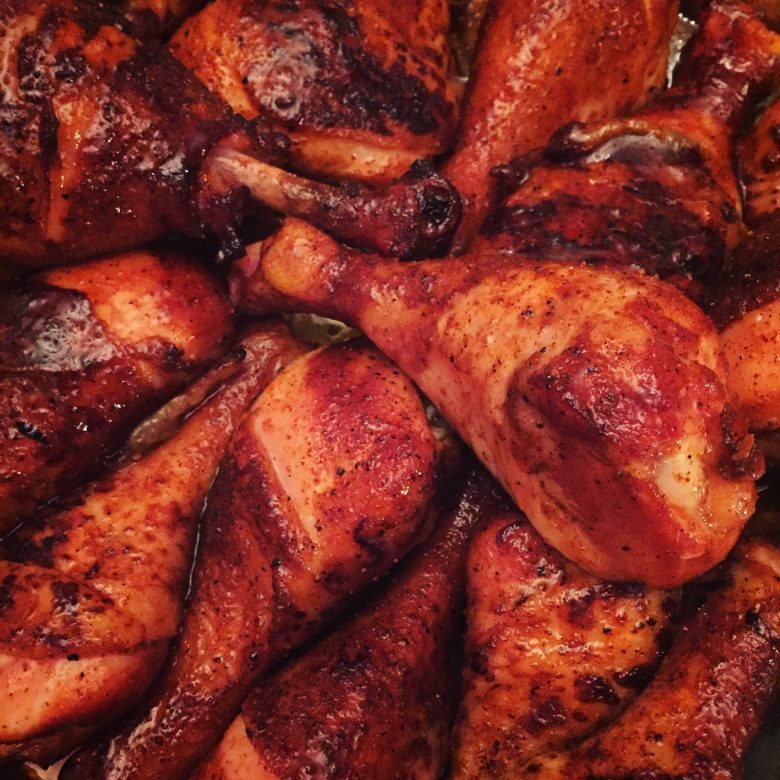 Start by seasoning chicken legs one hour before cooking with your favorite sweet and savory rubs, we used GMG pork rub. Return to refrigerator. Set your GMG to 275f and cook the chicken legs (flipping and rotating often) to an internal temperature of 160f. Next place them in tray along with enough butter to cover the bottom of the tray once melted, then cover the tray with foil. Continue to cook until the legs internal temperature hits 180f. Then remove the legs and add a small amount of your favorite sauce to the dripping (about a 50/50 mix of sauce and butter drippings). Use this mix to glaze your chicken and return to the smoker for 10 min. At this point heat up your honey glaze either in the microwave or even better in the smoker. After the 10 min apply your honey glaze and continue to cook for another 5 min. Remove, let cool, and enjoy!